Delve into ancient Roman history with a comprehensive tour of Rome’s iconic ruin, the Colosseum. Skip the line at the Colosseum and head right through the Gladiator Entrance to the restricted section of the arena. 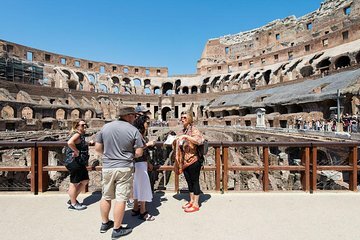 Listen to informative commentary from your guide about ancient Roman history and tales of emperors and gladiators.